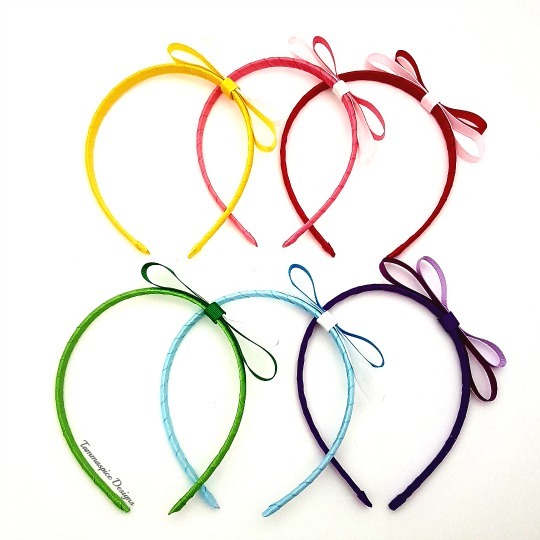 A lovingly handmade ribbon wrapped headband with double bow on top is made just for you from our studio in Hobart, Tasmania. 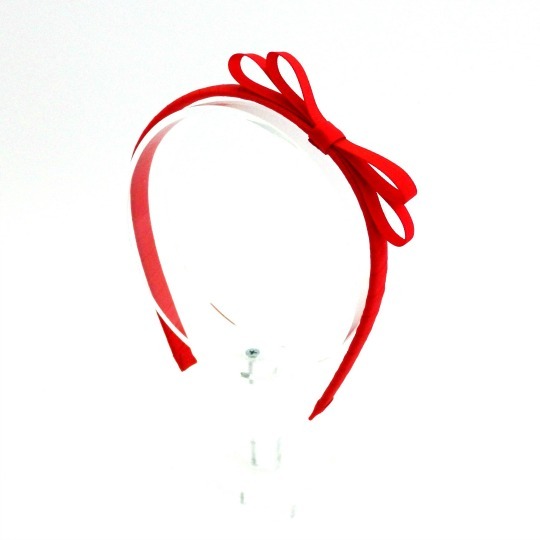 It has a smooth plastic headband base (with no teeth on) which is then handwrapped in quality grosgrain ribbon. 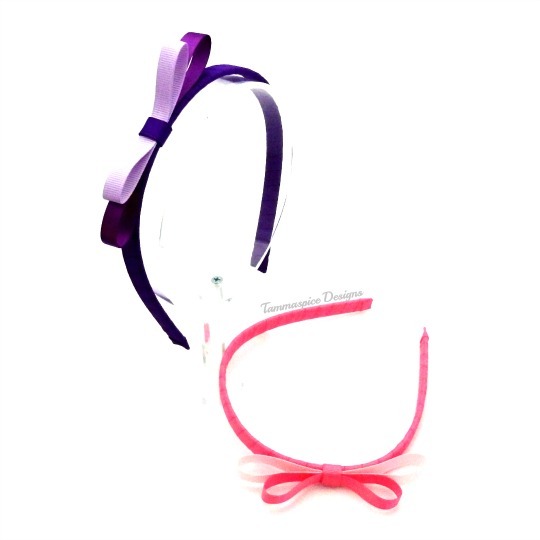 The bow on top is a mixture of grosgrain and satin ribbons. 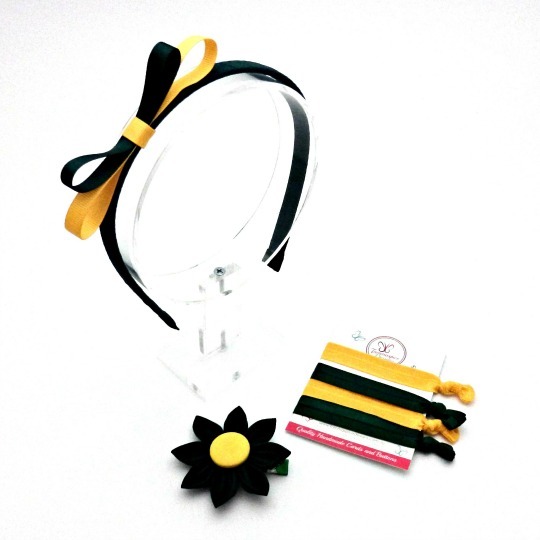 All headbands can be made in the school colour/s of your choice. Using either a single solid colour or in a dual colour tone using 2 colours. Some colour example pictures are in the product gallery. Happy to make them in pink/purple for the pre-school kids too ? Just let us know in the notes at checkout what colour/s you wish to have your set made in. 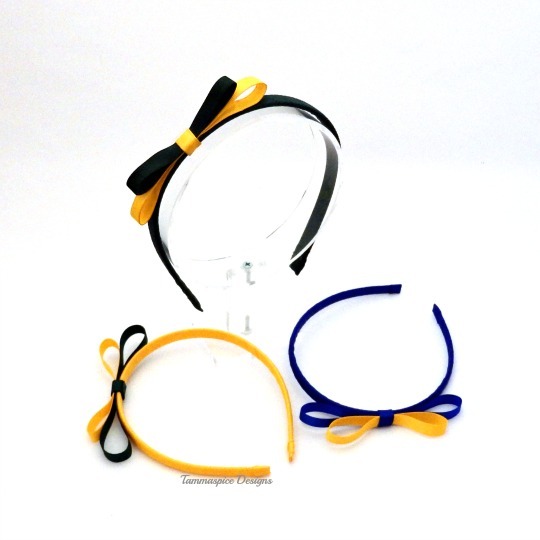 Note: all headbands will have a single solid coloured base. Just the bow on top can be dual (2) colours.